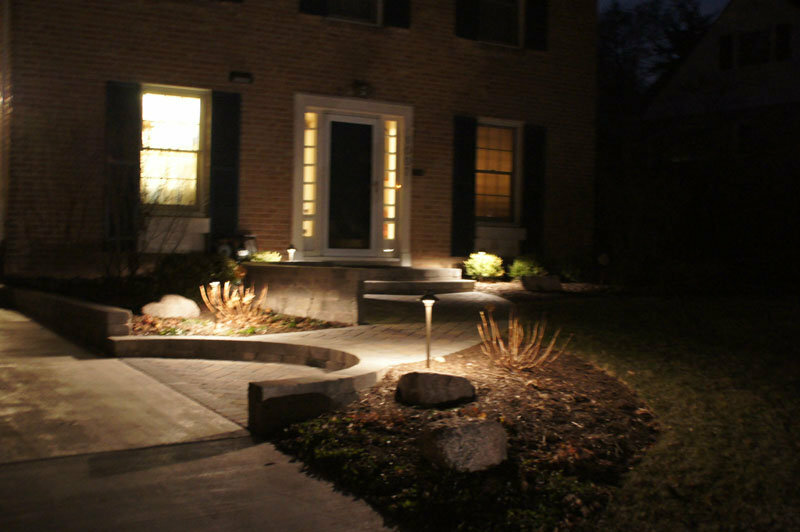 Landscape lighting adds security, a different view of your landscape at night and can help direct a guest to the front door. As the outdoor area of homes becomes more interesting with unique front walks, patio designs, fire pit gathering areas and plantings that give four seasons of interest – landscape lighting enhances the beauty that is there. 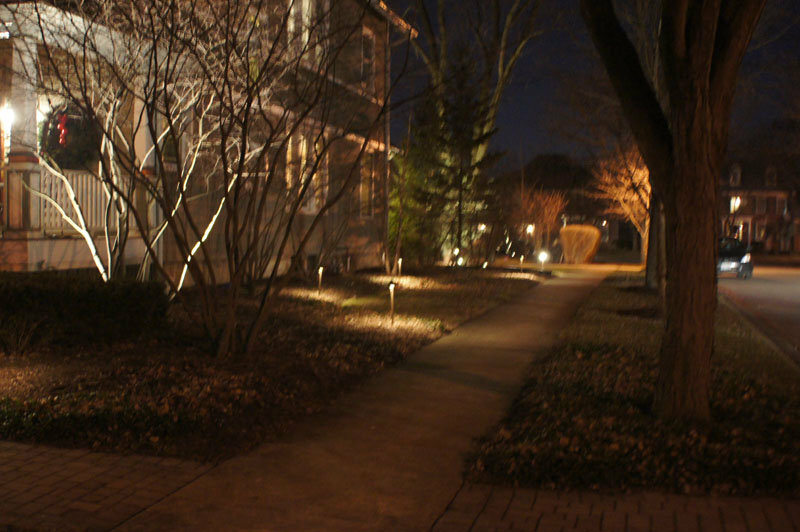 When the sun goes down landscape lighting creates a new look to the landscape. Trees that go unnoticed during the day can be highlighted. A front door can be found easily by the lit walkway leading up to the entrance area. A dark side of the house can have spot lights for security reasons. 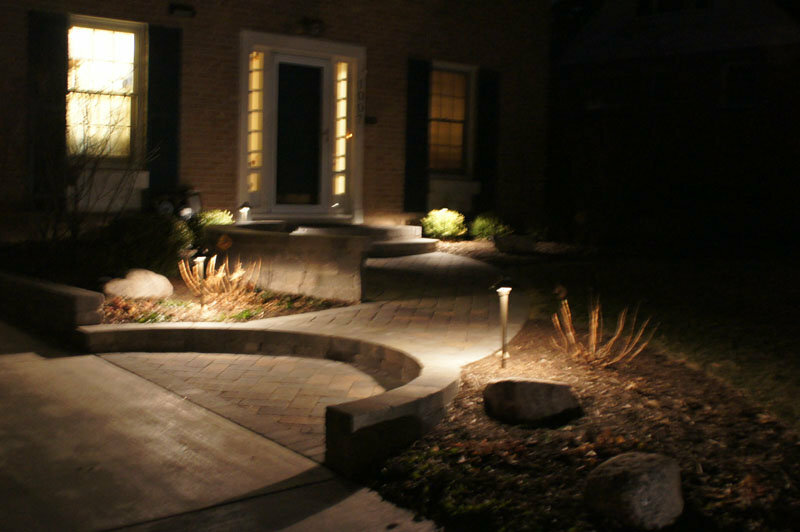 At Schmitt’s Landscape Company we recommend and install low voltage lighting systems. These low voltage lights use a lot less electricity and create mood lighting verse the regular or 110 volt lights which use more electricity and have a much stronger beam of light. Schmitt’s Landscape Company has been installing low voltage lighting systems for the past 25 years. We install a superior lighting product from Unique Lighting Systems. They have an innovative approach to landscape lighting. They use multi-tap transformers, the “hub” wiring system and solid brass fixtures that have a lifetime guarantee or an optional 15 year guarantee. The Unique Lighting System also offers copper fixtures. Good landscaping is thoughtfully designed. Landscape lighting also needs a plan. Whether your lighting need is for security, for direction, or to create balance and focal points we will work with you to design a night time landscape that works with your goals. 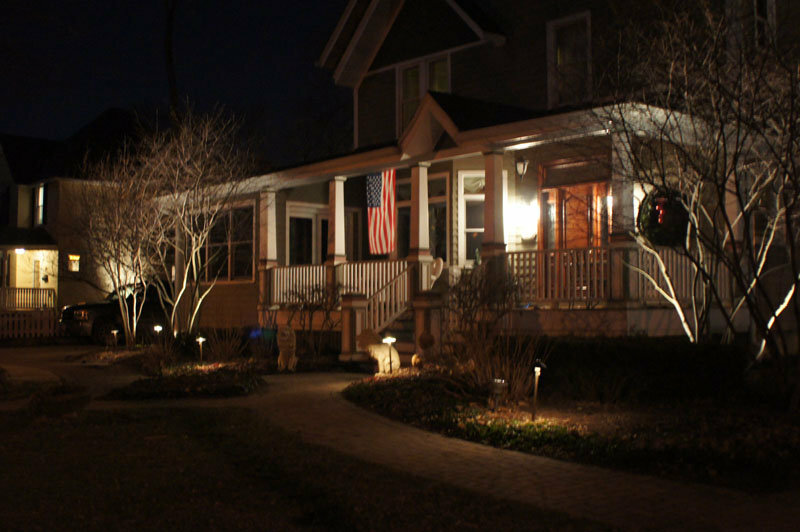 With our years of experience in landscape lighting, Unique lighting System’s products and a well thought through lighting plan, your home will have additional security, function and beauty when the sun goes down. To learn more about the system and landscape lighting products we use, please visit Unique Lighting.